You will find that polished concrete floors are one of the most popular flooring option used for Gladwyne PA homes today. Retail, commercial and industrial facilities and spaces are also utilizing polished concrete. 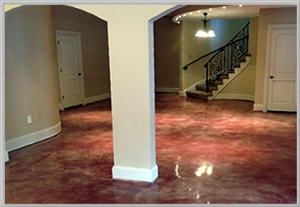 These stained and polished concrete floors have benefits such as a high gloss finish, durability and easy maintenance. These flooer bring a sense of beauty to any room. Polished concrete floors are also a great protection against various types of stains and other floor marks. Contact Metric Concrete Construction & Design to learn more about polished concrete flooring solutions in Gladwyne PA. There are many reasons why Gladwyne residents and businesses are choosing to have stamped concrete installations by Metric Concrete Construction & Design Inc.Stamped concrete enhance the beauty of residential and commercial landscapes and structures.From a cobblestone driveway to a slate & stone patio, the look of stamped/textured and colored concrete is realistic and also give the durability of concrete. 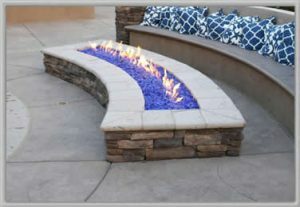 Stamped Concrete is a cost-effective alternative to other walkway/building materials such as pavers or natural stones. Metric Concrete is the premier installer for stamped concrete in Gladwyne PA.